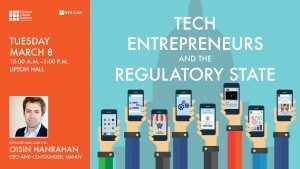 Join us for a conference on technology, startups, and government regulation. 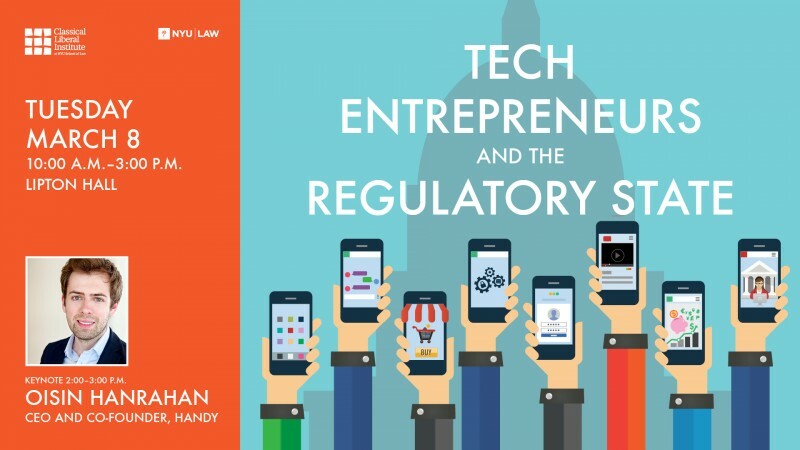 Panelists will discuss and analyze the climate for tech entrepreneurs and early start-ups and investigate policies and issues surrounding the “1099 economy,” H1B Immigration visas, and financing and securities laws, among others. The CEO of Handy, Oisin Hanrahan, will be keynoting the conference. 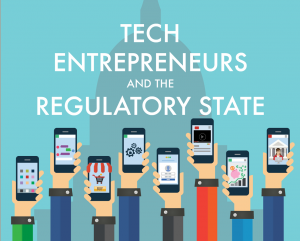 Other featured speakers include Bradley Tusk (Political consultant to Uber & CEO of Tusk Ventures), Ryan Feit (CEO of SeedInvest), and Geoffrey Manne (Executive Director of the Center for Law & Economics). This event has been approved for up to 3 New York State CLE credits in the Areas of Professional Practice category. It will be appropriate for both experienced and newly admitted attorneys (those admitted to the New York Bar for less than two years) and is presented in traditional (in person) format. CLE credits will be awarded per panel. Please contact Jen Canose at jennifer.canose@nyu.edu with any questions.